Gaining admission into tertiary institutions in the country has become an futile task this days. Data obtained from some schools around the country by The Guardian, sharply contradicts claims by the Joint Admission and Matriculations that over 75 per cent of the total number of qualified candidates that applied for admission were admitted into institutions of their choice for the 2017/2018 academic session. In fact, figures from only seven schools sampled by The Guardian, indicated that 46, 950 candidates (barely 20 per cent) were admitted from a pool of 244, 000, who were successful in the post Unified Tertiary Matriculation Examination (POST-UTME). The JAMB, which recently claimed that more than 90 per cent of institutions in the country complied with the deadline to end their 2017/2018 admissions by January 25, also said that the introduction of the Central Admissions Processing System (CAPS) by the board was to ensure a seamless admission processing. A breakdown of data from the sampled institutions showed that of the 104, 000 candidates that qualified for admission to the University of Ilorin (UNILORIN), only 11, 000 were eventually admitted. In the case of the University of Ibadan (UI), 27, 000 candidates scaled the hurdle, but only 3, 750 got placements. 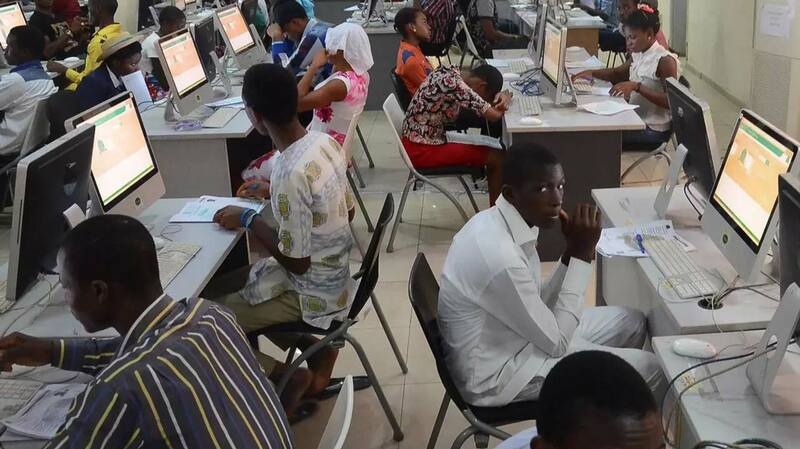 Of the 20, 000 candidates that the Lagos State University deemed qualified after the post-UTME, only 4, 000 were lucky. Ambrose Ali University, Ekpoma, Edo State, squeezed in 8, 000 candidates from the 15, 000 that were qualified, and the University of Benin managed to absorb 10, 000 out of the 21, 000 that scaled through at the post-UTME stage. The University of Port Harcourt gave admission to only 6, 700 candidates out of the 37, 000 that recorded success in the post-UTME, and the Federal University of Technology, Akure, Ondo State created space for a paltry 3, 500 out of the 20, 000 successful candidates from its post-UTME. JAMB’s Public Relations Officer (PRO), Dr. Fabian Benjamin, in an interview with The Guardian maintained that the few schools that couldn’t adhere to the admission directive were those institutions with peculiar challenges. “The three-year validity is not at the root of any admission challenge. The inability of candidates to secure admissions are strictly the choices we make as candidates, parents and some of the regulatory policies. We are doing everything possible to address these challenges, as we recently secured the approval of one of the regulatory agencies to waive some subject combination for UTME. As the admission crisis festers, some affected institutions are urging the Federal Government to give priority attention to university education by increasing its allocation to the sub-sector, and addressing salient factors exacerbating the access challenge, which include shortage of facilities for teaching and learning; shortage of academic staff; inadequate number of universities; inconsistencies in admission criteria across universities, and limitations in national admissions policy. While also harping on the need for the government to strengthen existing colleges of education and polytechnics by upgrading them to degree-awarding institutions, he urged the government to revamp polytechnic education; make its products globally relevant and competitive, and put in place uniform entry requirements for all tertiary institutions. Media aide to the vice chancellor of the University of Ibadan, Mr. Sunday Saanu, also stressed the need for government to expand existing facilities for improved access.